Windows 10 Mobile build 10.0.10586.682 now available. If you are still on old Threshold 2 build, you can now download this latest update for you mobile. Previously, Microsoft released cumulative update kb3198586 build 10586.679 for Windows 10 1511 PC users. There is no new feature in this update. But update brings minor fix and improvements to Windows 10 devices. 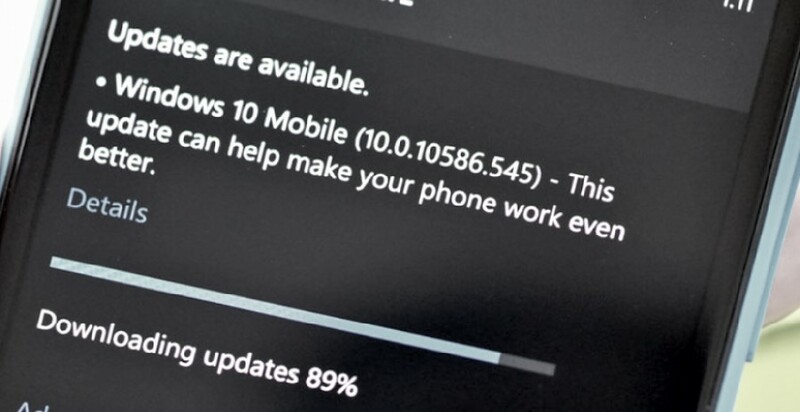 The latest cumulative update for Windows 10 mobile will drive the build number to 10.0.10586.682. Windows 10 Mobile build 10.0.14393.448 is also available for Anniversary Update users. Check out what Microsoft has fixed with this build. Build 10586.682 addressed the issue with proxy authentication that causes Windows Update downloads to fail. Mobile build 10.0.10586.682 addressed the issue where users can’t access Microsoft Store in an authenticated proxy environment. Addressed additional issues with enterprise security, Remote Desktop, datacenter networking, Windows shell, filter driver, the Access Point Name (APN) database, and wireless networking. Security updates to the Windows operating system, kernel-mode drivers, Microsoft Edge, Boot Manager, Common Log File System driver, Microsoft Virtual Hard Drive, Microsoft Video Control, Windows authentication methods, Windows File Manager, OpenType, and the Microsoft Graphics Component.